Best known as the lead singer of iconic grunge band Pearl Jam, Eddie Vedder is considered by many to be one of the godfathers of grunge music. Not only that, but he’s ranked as one of the greatest rock vocalists of all time. Since he was gifted his first guitar at just 12 years old, he devoted his life to music and rose to become the face of one of the world’s most successful bands. Let’s take a look into Eddie Vedder’s past to see how his life shaped him into the performer and man he is today. Learn about the family secret that inspired a lot of his greatest hits. Eddie Vedder was born Edward Louis Severson III in Evanston, Illinois on December 23, 1964. His parents divorced when Vedder was an infant and his mother remarried a man named Peter Mueller. Since his mother’s remarriage happened when Vedder was so young, he grew up under the assumption that Mueller was his biological father. 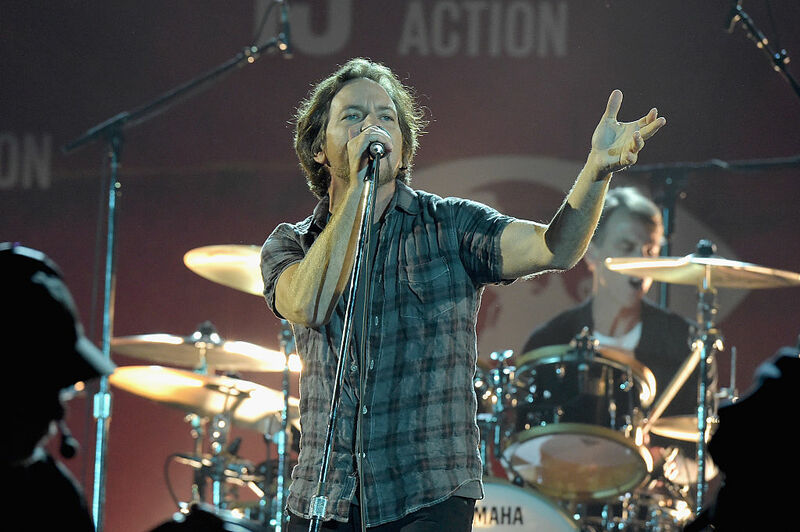 In the mid-1970s, Vedder and his family made the move to San Diego, California. During this time, when Vedder was 12 years old, he received his first guitar from his mother for his birthday. The household he lived in became tense and it wasn’t long before Vedder turned to music and surfing as a kind of solace during his time in San Diego. His mother and Mueller eventually divorced and she moved back to Chicago with Vedder’s siblings although he stayed behind with his stepfather so he didn’t have to change schools. Supporting himself in the surf town of Encinitas wasn’t as easy as he may have thought. During his time with his stepfather in San Diego, Vedder moved into his own apartment, supporting himself by working at a drug store in Encinitas. After his mother’s divorce, Vedder learned about his real father although he had since passed away from multiple sclerosis. Between that and the pressures of school and supporting himself, he eventually dropped out of high school. He then returned to Illinois to his mother and the rest of his family. It was then that he changed his last name to his mother’s maiden name, Vedder. 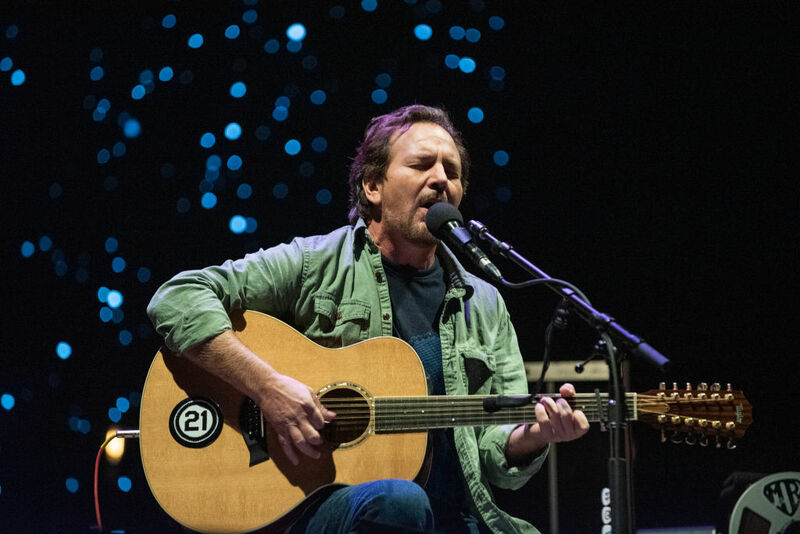 While in Chicago, Vedder continued making music and eventually earned his GED while working as a waiter. In 1984, he returned to San Diego, this time with his girlfriend Beth Liebling and buddy Frank. Working odd jobs, Vedder recorded demo tapes and played in various bands in the area such as the Butts and Surf and Destroy. Eventually, Vedder found himself as the lead singer of the band Bad Radio, which drew inspiration from the Red Hot Chili Peppers. Vedder eventually met former Red Hot Chili Peppers drummer Jack Irons who suggested that Vedder look north for the future of his music career. 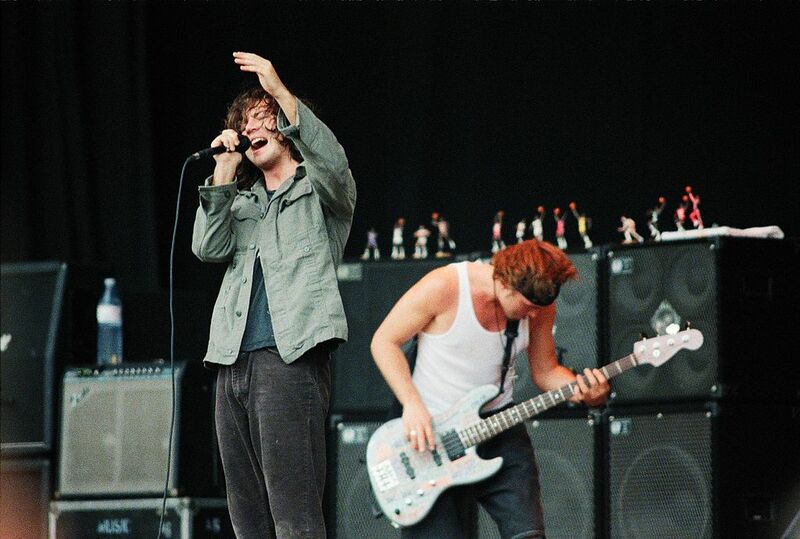 Vedder was then invited by Stone Gossard and Jeff Ament to join them on their projectTemple of the Dog in Seattle. There, he worked with the band, including Soundgarden’s Chris Cornell, providing backup vocals for numerous songs. The album Temple of the Dog was released in April 1991 through A&M Records. 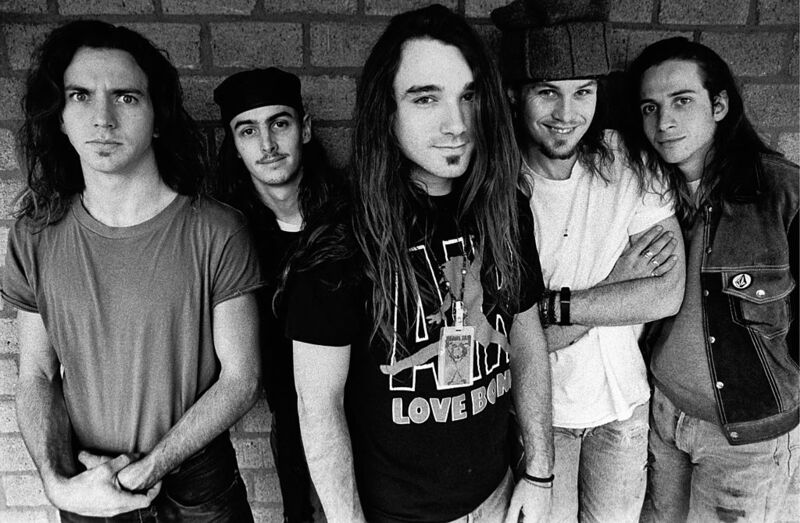 In 1990, Stone Gossard, Jeff Ament, and Mike McCready formed as Pearl Jam, although the group’s original name was Mookie Blaylock. However, upon signing to Epic Records, they were forced to change their name. They recruited Vedder as their final member with their debut album Ten going on to be one of the best-selling alternative albums of the 1990s. The album’s single, “Jeremy,” earned itself two Grammy nominations as well as four MTV Music Video Awards. The band then began to tour and came out with their second album Vs. in 1993 which broke the record for the most albums sold in a week. Little did they know their band would become one of the major forces in the grunge scene. Along with bands like Nirvana and Soundgarden, Pearl Jam was at the forefront of the grunge scene, blazing a trail for future artists. In their music, they explored topics such as anxiety, depression, and angst, all topics that were particularly appealing for the teenagers of Generation X. But the band, and Vedder especially, was beginning to feel the pressures of success. So, they refused to promote or release any music videos for their album Vs. The group also got into a legal dispute with Ticketmaster, which they boycotted over service fees and exclusive area contracts. This greatly limited their touring in the US for some time. In the latter part of 1994, the band released Vitalogy with Jack Irons on the drums. Unsurprisingly, the album was launched to the top of the charts, also becoming the band’s third album to go multi-platinum. The album and single “Spin the Black Circle” received numerous accolades upon its release. 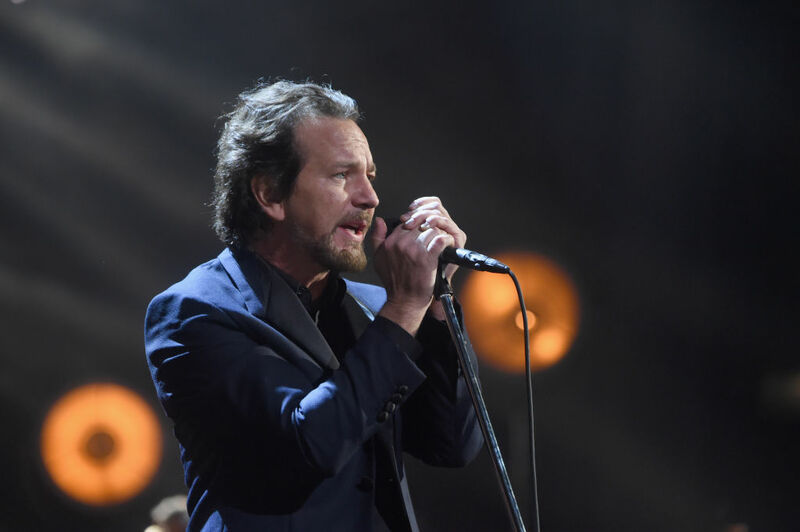 On the success of the album, Vedder told Spin, “We’re still just being brutally honest and giving it our best.” On the album, Vedder not only sang but played rhythm guitar and drums on some occasions. The struggle of being famous is a common theme on the album. In the following years, the band released No Code in 1996 and Yield in 1998. 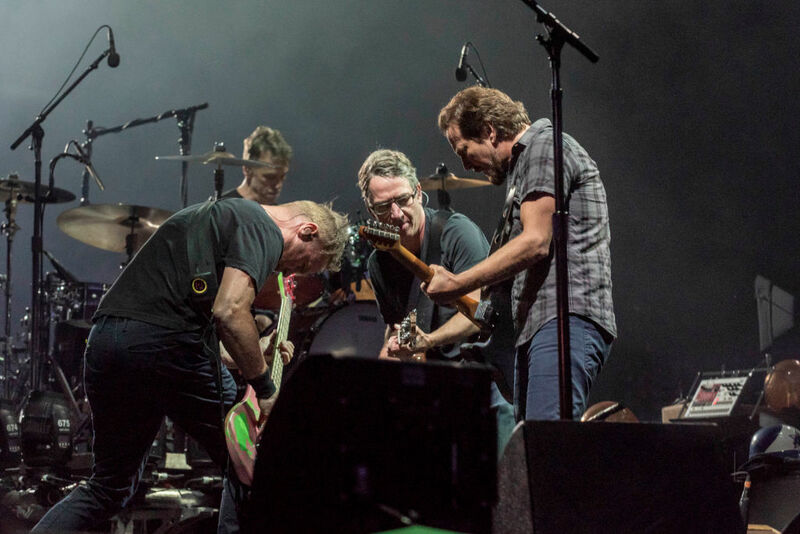 The same year that Yield was released, Pearl Jam recorded a cover of the 1960s song “Last Kiss,” which was made famous by J. Frank Wilson and the Cavaliers. Originally released as a fan club single, the band released it as a single to the public in 1999 due to outside pressures. After the public heard it, the single climbed the charts to reach the No.2 spot, becoming the band’s highest-charting single. Pearl Jam also saw success with the rest of their albums Binaural, Riot Act, Pearl Jam, Backspacer, and Lightning Bolt. Vedder had other successes outside of Pearl Jam. 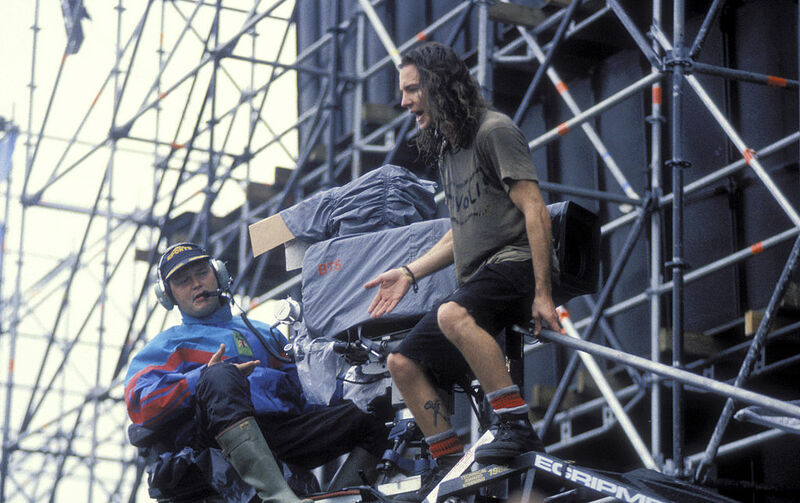 Vedder’s success in Pearl Jam, as well as his natural talent, led him to contribute to numerous film soundtracks. Some of the scores he contributed music to include I Am Sam, Dream Man Walking, Body of War, Reign Over Me, and more. His most memorable soundtrack work was in 2007 for the film Into the Wild. He contributed an entire album worth of songs, making up the film’s entire soundtrack. 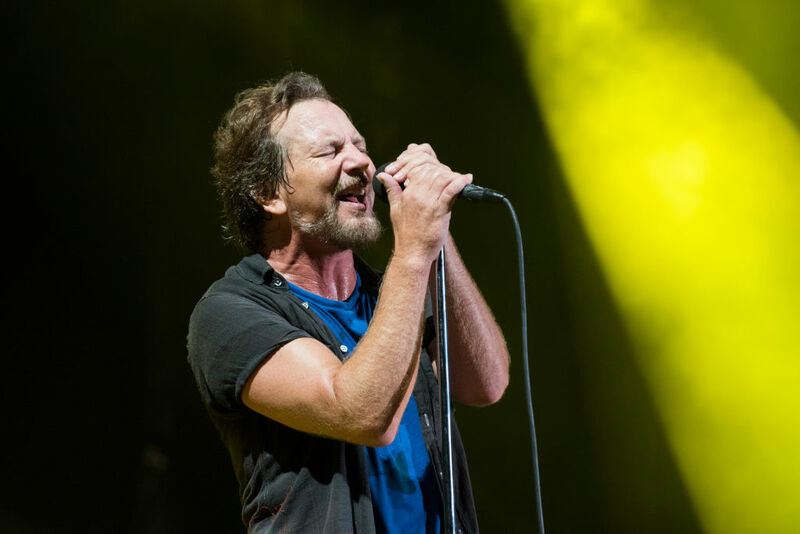 On top of his work with Pearl Jam, Temple of the Dog, and his own solo projects, Vedder has an incredible track record of collaborations with other artists. He has been featured on albums from bands such as The Who, Ramones, Neil Young, R.E.M., Bad Religion, Cat Power, the Strokes, and Susan Sarandon, just to name a few. But that’s not all. He has also performed on stage with some of the biggest names in music including Paul McCartney, U2, Bruce Springsteen, Cat Stevens, Tom Petty and the Heartbreakers, Beyonce, Dave Grohl, Neil Young, and countless others. Given his popularity and artistic capabilities, it was only a matter of time before Vedder was offered some movie roles. His first film appearance was a cameo as himself in the film Singles, where he was the drummer of Matt Dillon’s band. He made another cameo appearance as himself in the comedy film Walk Hard: The Dewey Cox Story. Over the years, he was featured in several documentaries such as End of the Century: The Story of the Ramones, Runnin’ Down a Dream, The People Speak, and more. The character Jackson Maine in Bradley Cooper’s A Star is Born is based on Vedder and he spent some time with Cooper to flesh out the character. He uses his public influence for good. 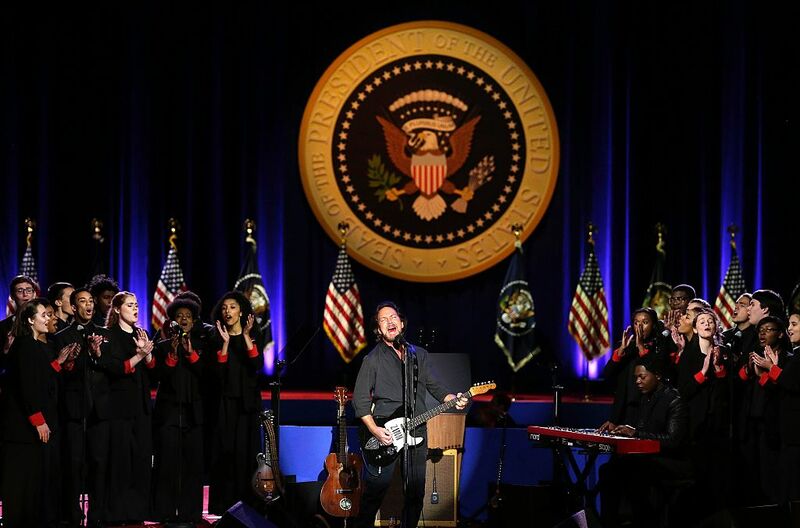 Vedder has been outspoken about political leaders in the past and even played at Barack Obama’s farewell address. He is also involved in conservation efforts, and as a surfer, is a major contributor to The Surfrider Foundation. In the earlier days of Pearl Jam, Vedder was still a young man full of energy and angst. He was known to frequently interact with the crowd and earned a reputation for putting on high-intensity shows. It was not uncommon for him to climb the stage lighting and hang from the top or jump from the stage into a mosh pit. His performance reputation would place him at the top of many Rolling Stone lists. In 1994, Vedder married his girlfriend Beth Liebling, the co-founder of the Seattle band Hovercraft. However, things didn’t pan out and the two were divorced in 2000. 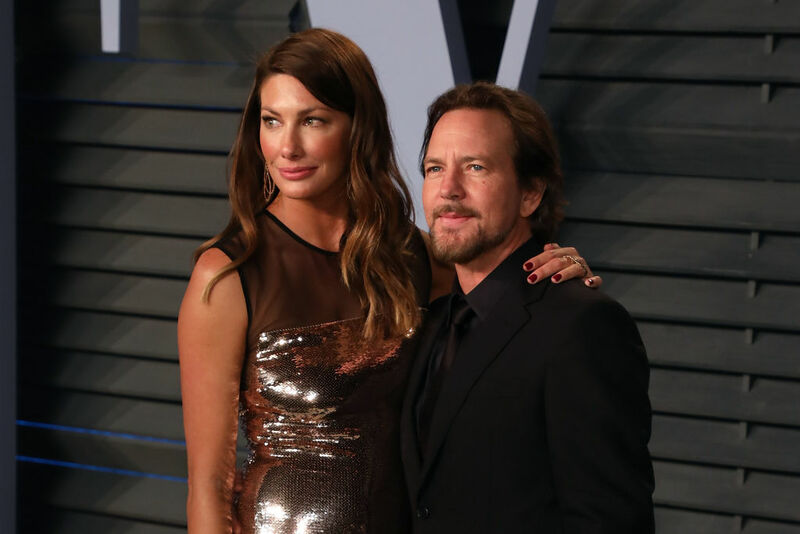 In 2010, Vedder married his current wife and longtime girlfriend, Jill McCormick. The couple was married at a small ceremony in Hawaii. 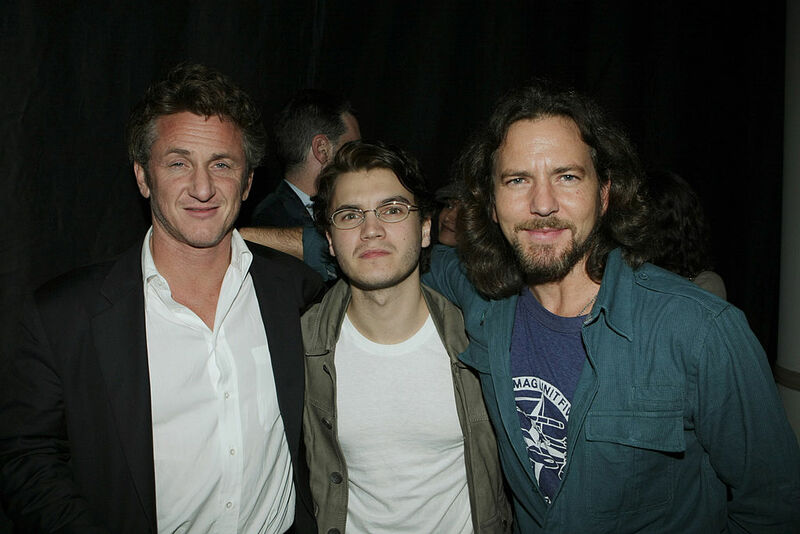 Of course, some of Vedder’s good friends came for the ceremony, such as Sean Penn and Jack Johnson. Vedder and his wife share two daughters, Olivia and Harper Moon. 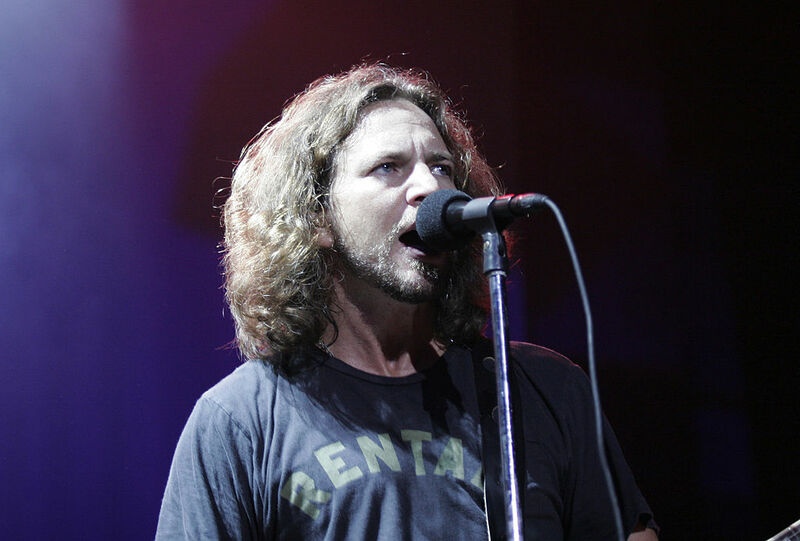 Eddie Vedder’s musical career has established him as one of the greatest lead singers in recent memory. 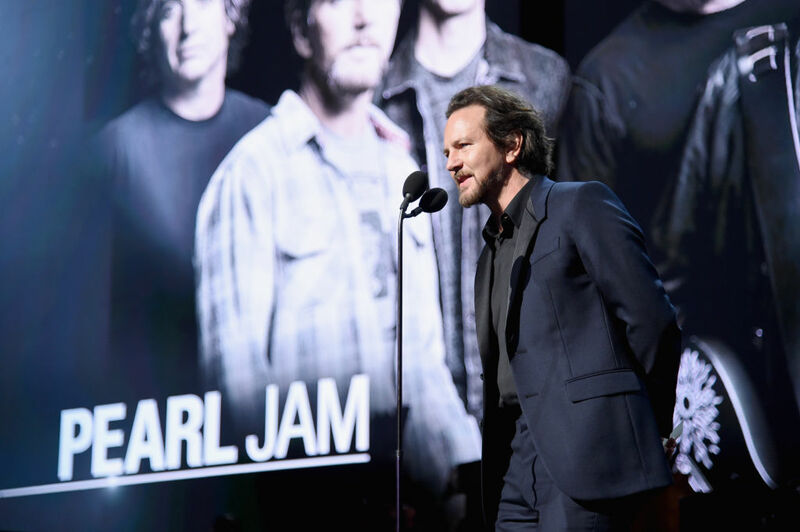 While Pearl Jam has had countless accomplishments as a group, Vedder himself has been honored personally on several occasions. He’s ranked No.7 on Rolling Stone’s Best Lead Singers of All Time list as well as No.5 on their list of Singers with the Most Unique Voice. Countless other revered singers such as Bruce Dickinson of Iron Maiden and Roger Daltrey of the Who have also showed great admiration for his talent. Can you guess which sports teams are his favorites? Vedder was very close friends with Chris Cornell, the former lead singer of Soundgarden and Audioslave, who passed away on May 18, 2017. 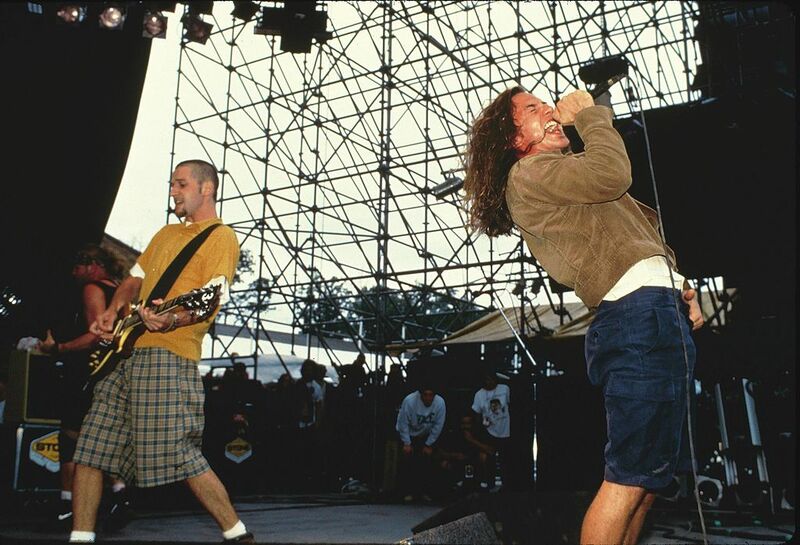 They met in Seattle and while singing together for Temple of Dog became fast friends. 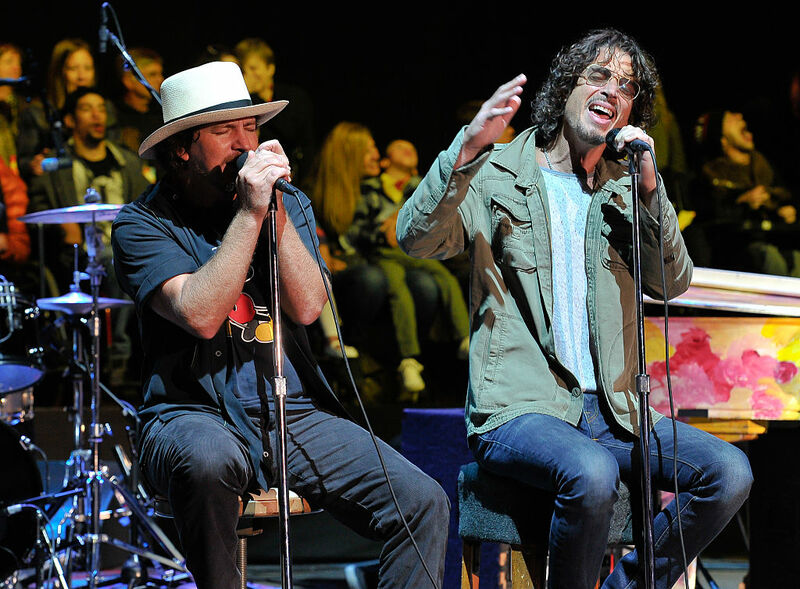 Cornell was like an older brother to Vedder, showing him the ropes as he went along. 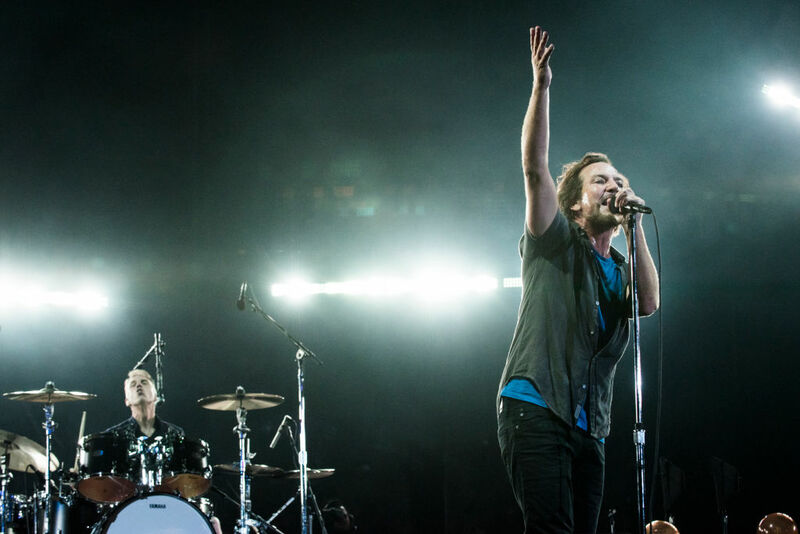 Although Vedder is considered to be one of the founders of grunge music, his talent far exceeds just one genre. 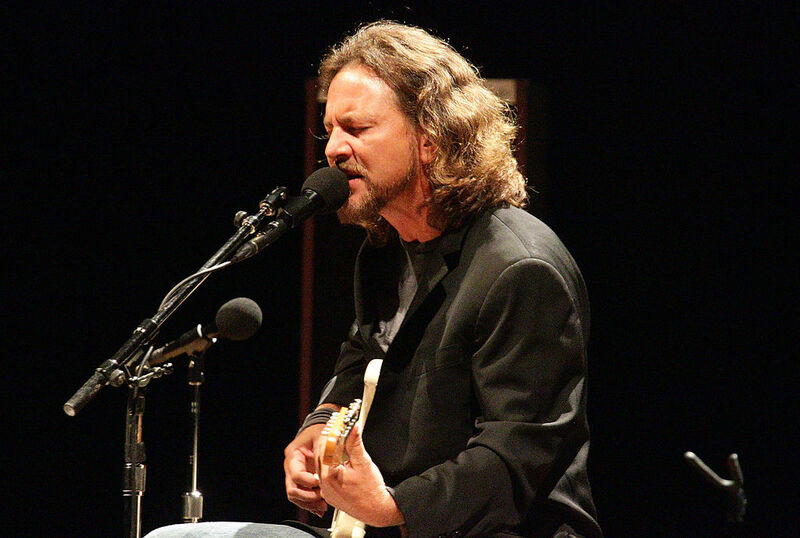 As demonstrated by his soundtrack work for Into The Wild, Vedder has the capacity to write and play a variety of music. He proved this once again in 2011 when he released a solo album titled Ukulele Songs. 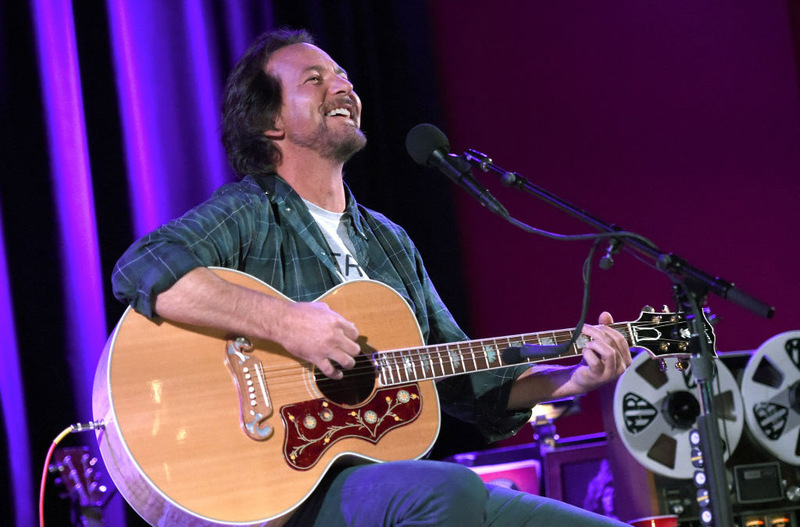 The album was a collection of original songs and covers, recorded with Vedder using nothing other than a ukulele and his voice. 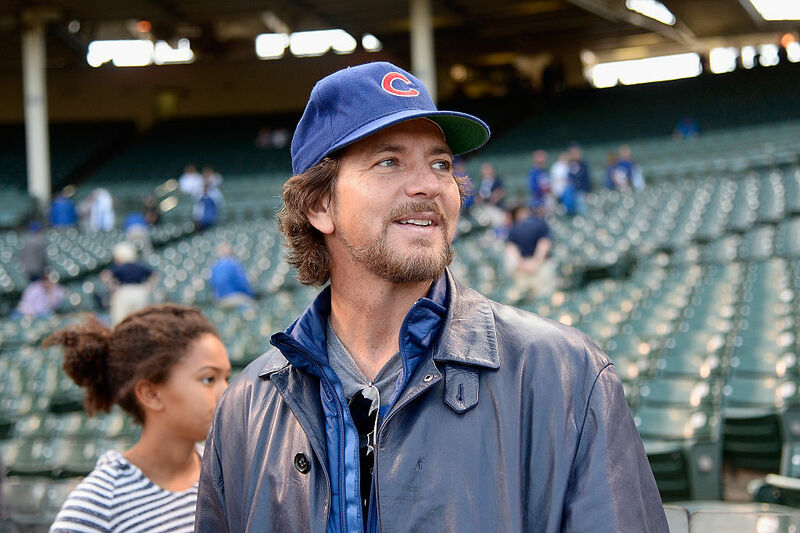 Born in Illinois and spending periods of his life living in Chicago, Vedder is a devoted Chicago sports teams fan. The Pearl Jam song “Black, Red, Yellow” is about the Chicago Bulls team back during the Dennis Rodman, Michael Jordan, and Phil Jackson era. Vedder even ended up singing the national anthem for the third game of the 1998 NBA Finals in Chicago. Although Eddie Vedder might no longer be stage diving into a crowd of angry teenagers or getting arrested for bar brawls, his impact on music and many individuals’ lives is clear. He still frequently performs and makes appearances at benefit shows across the nation. In his free time, he tries to surf as much as he can. He describes the sport as being one of his biggest inspirations when it comes to music. 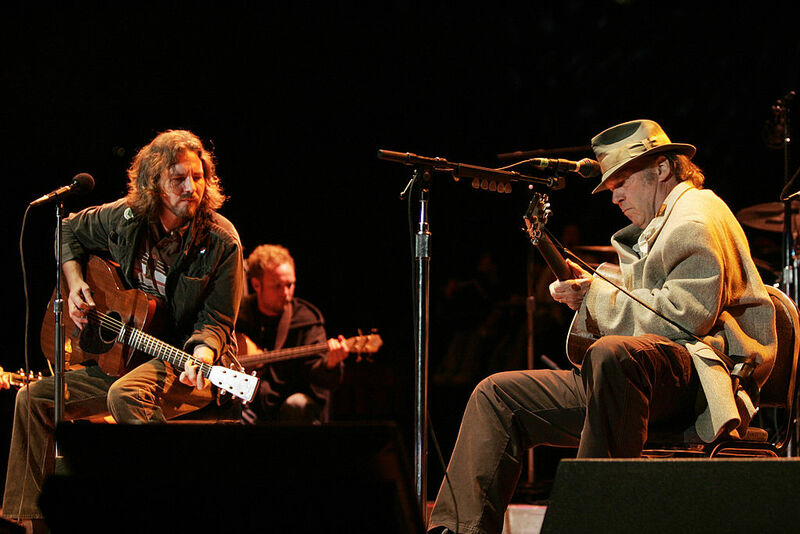 Today, one thing is certain, Vedder will remain an icon for all the work he has done both on and off the stage.